These days, large number of tattoo studios offers the widest range of services possible, from piercing to tattoos. Among them,a special kind of tattoo exist – Henna tattoo paintings. Basically, they use henna powder that is blended with lime and water mixture to create black henna tattoo mixture to apply on your skin. The popularity of such tattoos have increased lately, mostly because of their much lower cost price (big plus), and, to distinguish them from ordinary tattoos – they can be washed off after a couple of weeks (it can be great advantage if you want the tattoo for a short period of time, vocation abroad for example) while still looks beautiful and breathtaking. Let’s look and examine the features of the henna tattoos and the different requirements from henna tattoo kits. How Henna tattoos are done? 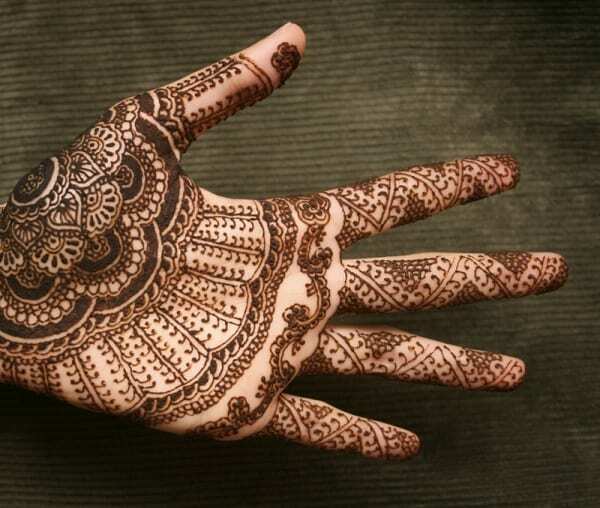 The Henna tattoo is a manually created (hand drawn) art work. It’s applied on skin using sticks which from time to time moistened in a solution containing henna that can be purchased or mixed by yourself (the recommended way, you will learn to do it later). 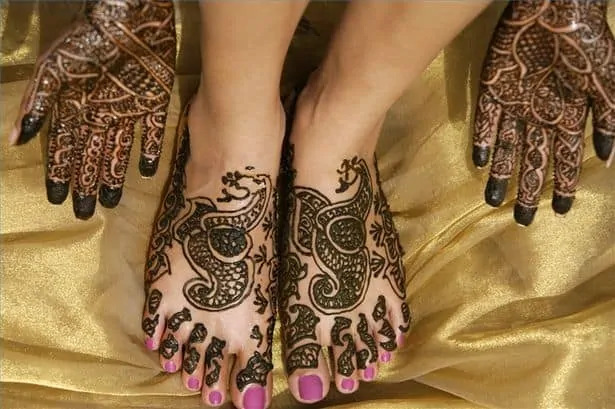 You must follow the henna instructions that come packed with the Henna very clearly for the successful completion and dilution of the drawing. Otherwise you risk throwing hard earned money down the drain and remaining, as they say, with noting in hands. Beginner to henna tattooing technique? If you’re new to these tattoo technique or even begin to work for the first time on skin-based-art, I recommend to practice first on plain paper. Start from paint pencil conceived patterns, then you can try a brush, and then the more sophisticated tools. Only after you have the confidence to perform any henna bending lines you can move on to working with leather. Regarding the first phase of practicing tattoo henna art – try simple patterns and ornaments in the beginning. Gradually try complicating the geometry shapes and the sketches performed. Slowly but surely you will get to advanced and complex shapes and patterns of hinna tattoos. In case of a poor imagination, don’t worry. You can always get help from a variety of stencils and pre-made patterns. Its ok, this practice used everywhere and totally acceptable. No one expect from everyone to be top world artist. Just have passion and enjoy your henna work. And keep in mind, avoid excessive stress at your tattoo work, the process should be done with good energies and positive atmosphere (important to any kind of work J). Is it difficult to draw henna tattoos? If you have the right artistic skills, putting a small picture on the skin area will not be difficult. Another thing is when it comes to more cumbersome projects and Henna applications. This can be more complicated, I’ll tell how to deal with such emerging challenge. Tattoos of henna in large projects, how to do it? If you tend to work on a large drawing area with henna tattoos, you need to do it in phases. Required area of skin is divided into parts (not literally of course) –you should start from the center of the future tattoo image area. When working with henna, first plot the most narrow and clear lines, and then turn to a more simple – direct lines. 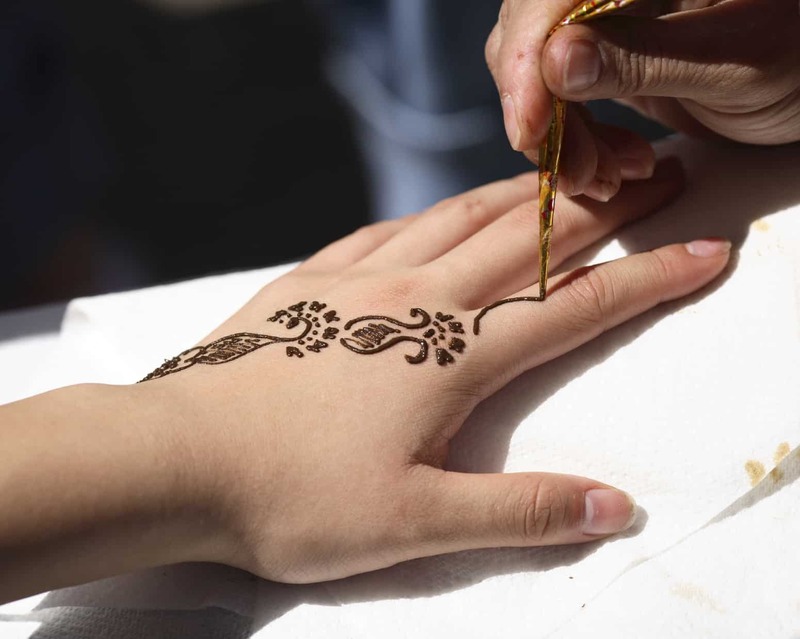 Next to the application of all major thin and straight lines, begin to draw the rounded parts of the henna picture. By the way, before you start, you can make a kind of sketch used for these purposes with a simple pencil that can be erased after all the work with cloth moistened in vegetable oil (so only the henna tattoo painting will remain). Interested in white henna tattoos? 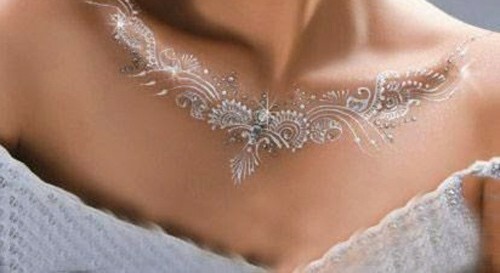 You like the concepts of henna tattoos, but, you want them to be white, like in the image below. So, how to make white henna tattoos? Basically, it’s the same method as with ordinary henna but this time, with white henna powder. What about specific Hinna powder recommendation? We recommenced this that Amazon got one for sale (1 lb), it’s all natural and safe and will stay on your skin for about 1-4 weeks. Order one and begin with the creative part of tattoo art. As you already understand, white henna painting is a great opportunity for a temporary tattoo and creative satisfaction, with a special twist. You can do henna tattoos paintings! What you need to begin with henna tattoos? Just a couple, pretty cheap items. You need henna powder. The henna powder will be used to prepare the Henna paste that will be used for black henna tattoo. Henna powders have shelf life of approximately 1 to 2 years and you can refrigerate to extend shelf life of paste. So, it’s really small investment for the art you want to do. For a specific Henna recommendation, you can buy this great Organic Red Henna Leaf Powder powder on Amazon (click here). We use it and it’s great (and organic to!). Also, you will need some henna essential oils that would be used during the process of mixing the henna powder and then applying on the skin. Amazon got those to, with great quality and prices. Also, henna tattoo applicators. It’s a big set of 5 tips and 2 bottles and it’s used to directly apply the henna paste on the henna design. It’s got great flow and made of first grade quality plastic. That’s all. You ready to start drawing and practice. And remember, restrictions are only in your imagination. P.S. For any suggestion and questions, leave us a comment. We are always available.